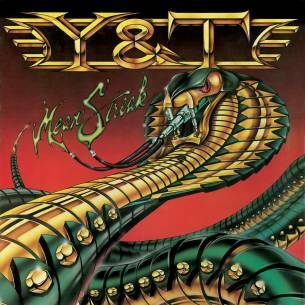 WHEN Y&T, THE hard rockin’ San Francisco quartet, signed to A&M records in 1980, it signalled a golden era for the band, revealing a fan base in the UK, and Europe in general, that they were utterly unaware of. Their debut major label album, Earthshaker, was more successful in Europe than in their own country, building an audience that was hearing much in common with the NWOBHM and welcoming their hard edged sound as if they were homecoming heroes. The bond was further cemented when the band elected to record their Black Tiger album in the UK, and also attracted an impressive reaction when they toured, which included a special guest performance at the coveted Reading Festival.